Tending to locals must be a tough job for a small coffee place, even for those few ones up in the mountains of Naxos in Chalkion. And Kafeneio Galanis (or else To Spitiko Galaktoboureko) must be doing something really good to attract all of them day after day. And discovering such places in remote locations can only be rewarding. 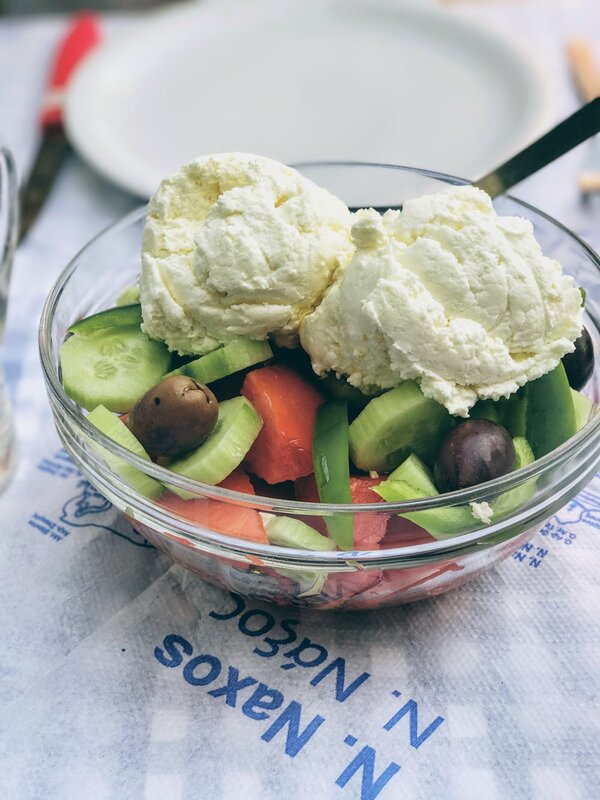 Even if it's for some small meze and a delicious dessert to go with it! Giannis Salteris and his wife Katerina took over this unique place in the early 1990s succeeding Markos Lambadakis, owner of this small kafeneio since the German occupation. 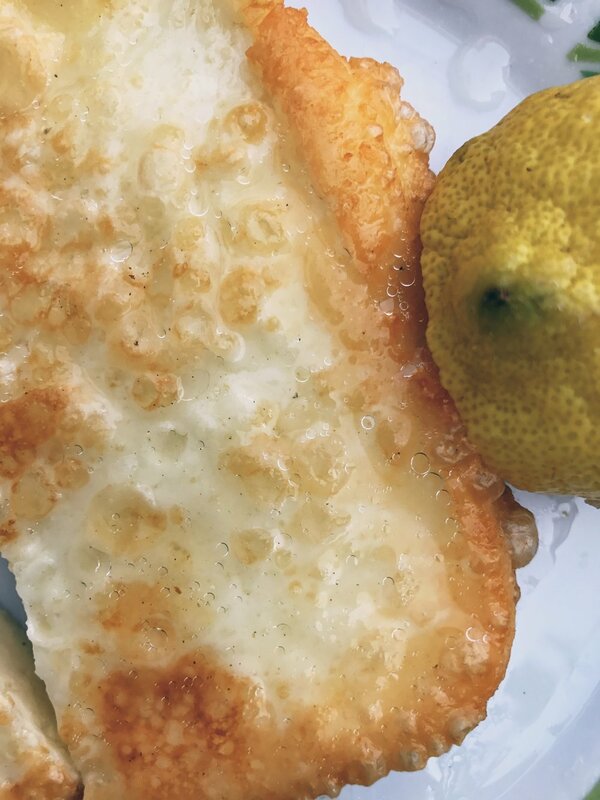 It was the previous owner who was famous for the established desserts of kataifi (thin-strand pastry stuffed with coarsely chopped nuts, almonds or walnuts drenched in syrup) and galaktoboureko (custard-filled phyllo pie drenched in syrup), as the signature sweets of this place. Today, with the help of their son Dimitris, they serve some authentic treats in this magical location! 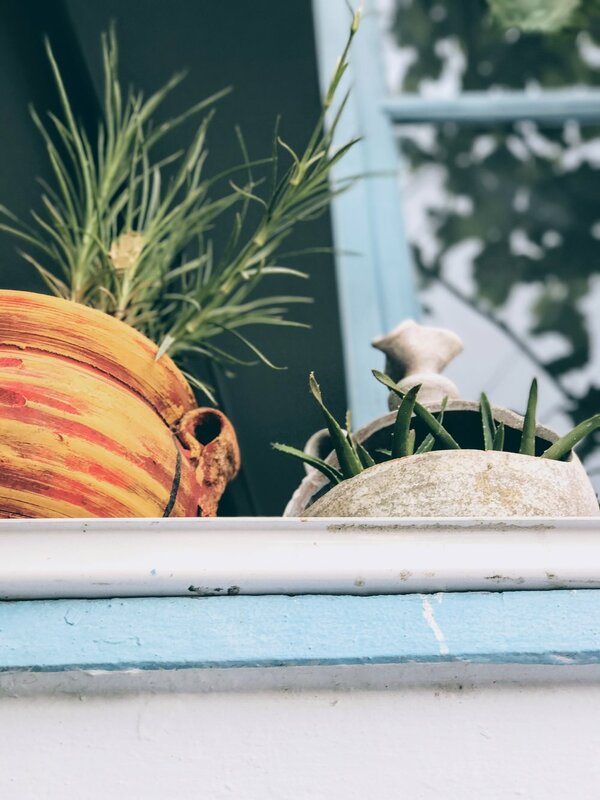 Set in a beautiful alley underneath a thick shade from the vines, Kafeneio Galanis also takes over the sidewalk across the street where locals tend to hang in the afternoon and drink coffee or ouzo watching travelers go by. Meanwhile, foodies enjoy a short list of delicacies Mrs Katerina prepares in her small kitchen. The top one? 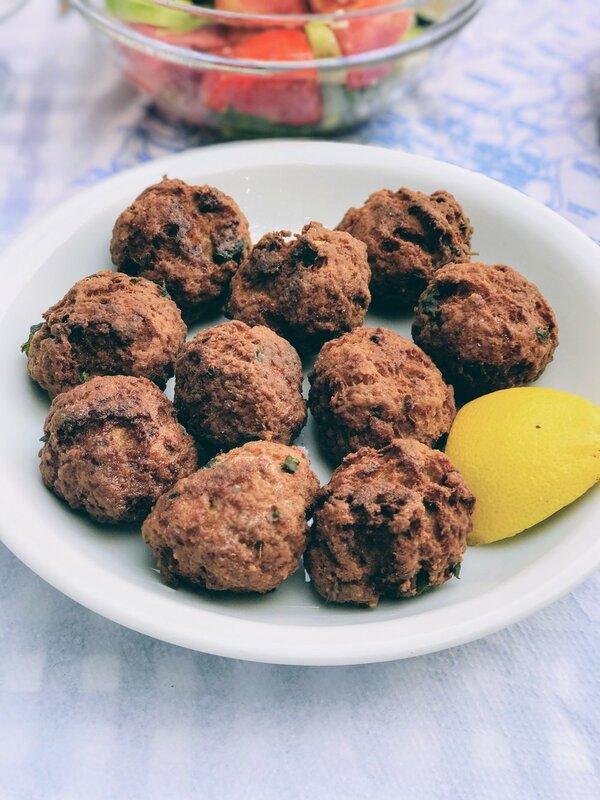 Keftedakia, the Greek style meat balls, which are shallow-fried making them tender on the inside and crispy on the outside! And obviously, their galaktoboureko dessert, a few portions of which sit by the entrance... feel free to just walk by and collect one or two!